Surgery is a operative techique that is applied on a patients using instruments etc to cure a disease. It is one of the most advanced medial subject and is usually thought during the last year of medical school. It is one of the most important subject for medical students and especially for those who want to do post graduation in surgery. 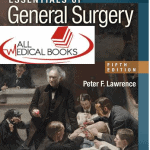 There are many books of surgery. 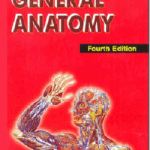 Few of them are already shared on this site like NMS Surgery pdf, Surgical Recall pdf and essentials of general surgery pdf etc. You can read our reviews of these books from the links above. 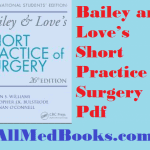 Today we are sharing one more book of surgery that is requested by some of our readers. And that book is SRB Manual of surgery pdf. You can read our complete review of this book and download it in pdf format for free. 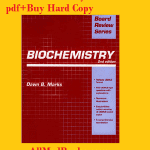 If you want to order hard copy of SRB surgery, you can do so using the link at the end of this review. 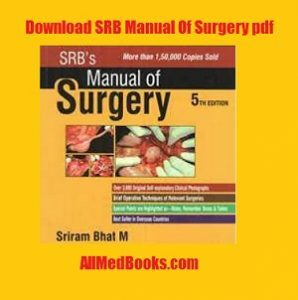 This manual of surgery is written by Indian Sriram Bhat M, who is a professor of Surgery in Kasturba Medical College Mangalore, Karnataka, India. The first and foremost thing about this is that is published by a well know publisher in medical industry i.e Jaypee Brother Medical publisher. 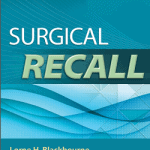 It has 5 editions and is regularly updated with new surgical techniques and findings. Extensive corrections, well updated content and illustrations in the latest edition. Malignancies have discussed in much more detail in the latest edition as compared to previous editions as well as other surgery books. Self assessment questions at the end of every chapters has been removed but instead of it, much more content is added. Over 500 x rays, photographs and illustrations were added in the first edition which have been increased and improved in the latest editions. You can download SRB Surgery in pdf format free below using the download button. 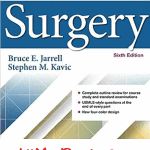 You can buy SRB Manual of Surgery 5th edition for 110$ here. This is 4th edition bro..